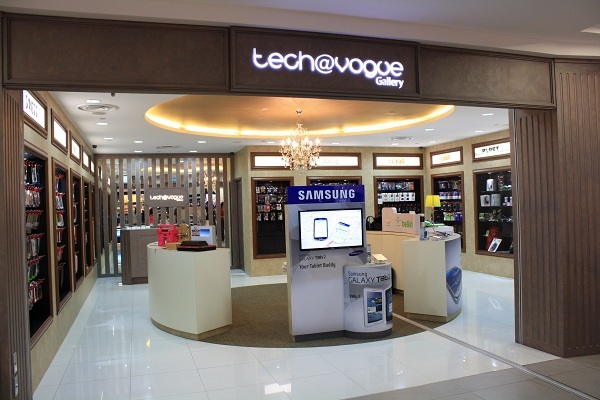 The first tech@vogue store is located at nex Mall, #02-22/23, 23 Serangoon Central. The explosive growth of mobile device adoption in Singapore in recent years not only has meant a windfall for certain manufacturers like Apple and Samsung, it’s also created an entire retail ecosystem dedicated to providing consumers means to customize and personalize their mobile phones and tablet devices. These days, every local mall seems to have at least one store selling mobile accessories of every kind – mobile charms, phone covers, and even high-end cans for the best auditory experience when paired with a mobile device. And consumers are buying. To take advantage of that trend, IT retail chain Newstead Technologies is getting into the act with its latest retail concept, tech@vogue. 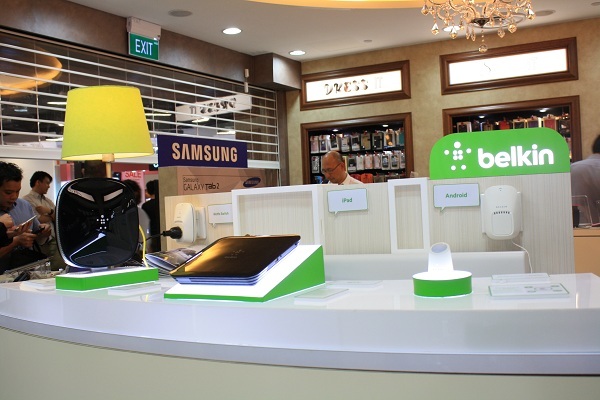 Its nex Mall branch will be the first of a new chain of specialty stores focused exclusively on accessories and connectivity solutions for smartphones and tablet devices across various brands and operating systems, and will carry an extensive selection of premium accessories for consumers to make the best use of their mobile devices. Different tech@vogue zones answer to different needs for customizing your mobile devices. The Belkin ‘Experience Zone’, with the Belkin AC1200 DB Wi-Fi Dual-Band AC+ Gigabit Router, @TV and WeMo Home Control Switch (to be launched later this year). The second tech@vogue store is slated to open at Marina Bay Link Mall in August 2012. 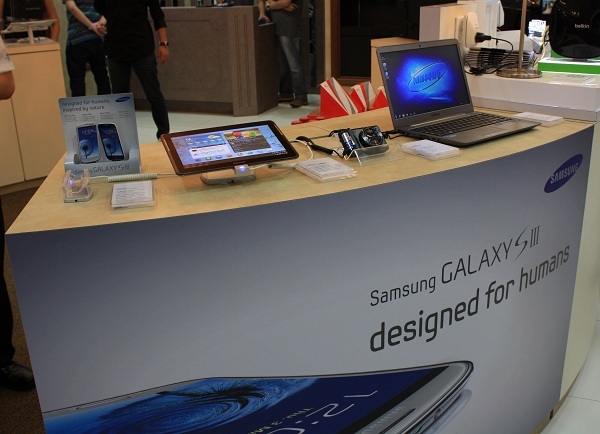 A Samsung Mobile corner that shows off the connectivity solutions between its mobile phones with other Samsung products.